Fast-drying humidity resistant copolymers add medium hold, high shine and rinse out of hair easily without residue or buildup. Phenyl trimethicone provides additional long-lasting shine. AG Hair Blonde Dry Shampoo spans the entire spectrum of blonde, seamlessly covering roots between salon visits. Natural tapioca starch soaks up excess oil, leaving hair revitalized. 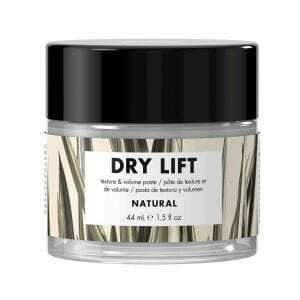 Brunette Dry Shampoo leaves your hair feeling refreshed while hiding roots. AG Hair Cleansing Cream is formulated with AG’s exclusive Sea Complex, combining anti-aging sea berry oil with natural seaweed extracts in a nourishing and conditioning base to gently remove dirt and pollutants from the hair. This rich, creamy conditioner contains a blend of protein, amino acids and moisturizers to feed, repair and revitalize colored hair. It contains AG’s exclusive CARE Complex, providing both UV and free-radical protection. Save time in the shower with this conditioner/shaving lotion combo. Stimulating menthol cleanses, cools and stimulates the scalp, bringing nutrient rich blood flow to the roots of the hair, promoting a healthier scalp and fuller, healthier hair. Formulated with a lower-pH, Conditioner Light from AG Hair is a silky-smooth, super-detangling conditioner that closes the cuticle to lock in moisture and shine. This mild yet highly effective treatment shampoo is the most powerful anti-dandruff shampoo available without a prescription. Fast Food Leave On Conditioner feeds, smooths and calms frizzy thick or coarse hair instantly. Potent humectants and abyssinian oil do double duty to moisturize and mend split ends while adding weightless condition and shine to dry, lifeless hair. Finally, a fast food that’s good for you. Fast Food Sulfate-free Shampoo is unbelievably rich and full of moisturizing lather, providing extreme hydration to chronically dry hair while being light enough for all hair types. 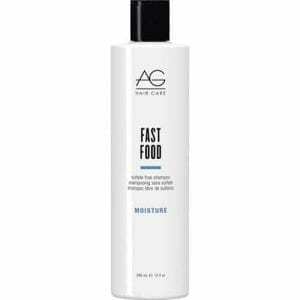 Fast Food Sulfate-free Shampoo is unbelievably rich and full of moisturizing lather, providing extreme hydration to chronically dry hair while being light enough for all hair types. 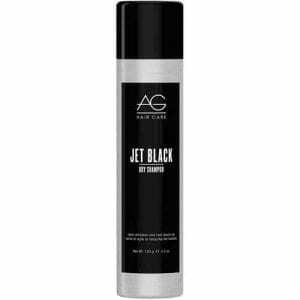 Jet Black Dry Shampoo leaves your hair feeling refreshed while hiding roots. 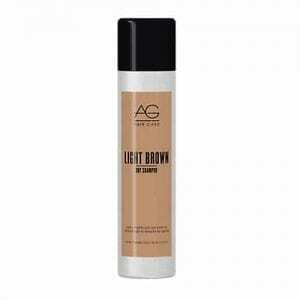 AG Hair Light Brown Dry Shampoo spans the entire spectrum of light to medium brown, seamlessly covering roots between salon visits. Natural tapioca starch soaks up excess oil, leaving hair revitalized without white powder residue. 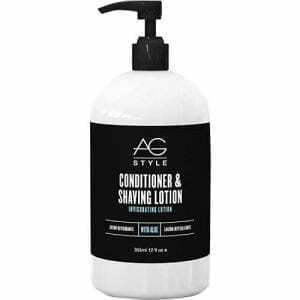 Formulated with over 98% plant-based and naturally-derived ingredients, AG’s Boost Conditioner to helps to nourish, detangle, smooth the hair cuticle and seal in moisture. AG Hair Natural Dry Lift includes Kaolin clay and volcanic ash that absorb excess oil, creating a thickening effect on the hair, adding body and allowing hair to be styled and manipulated. Caring for curls means giving them the moisture and definition created by our gentle, sulfate-free curl care shampoo. Recoil Shampoo’s lavish formula includes our C3* which hydrates and encourages curl and natural bounce, while controlling frizz and adding protein for strength and body. Rich with Keratin Amino Acids that penetrate the hair shaft, bonding, repairing, and smoothing while adding strength, elasticity, moisture, and shine. Perfect for swimmer’s, this shampoo removes damaging and discoloring chlorine or mineral deposits and product build-up. Gentle on color-treated hair and leaves hair manageable and shiny. Also great for extensions or synthetic hair.